Often when I discover a new blog, I read a couple posts, pin some images, sometimes subscribe if I like what I see, the usual. But when I discover a blog I love, I spend quite a bit of time pouring over old posts, reading all the different pages, following on twitter/pinterest/etc. Simply inspiring photography, beautiful words, and a place that felt a bit like an escape. 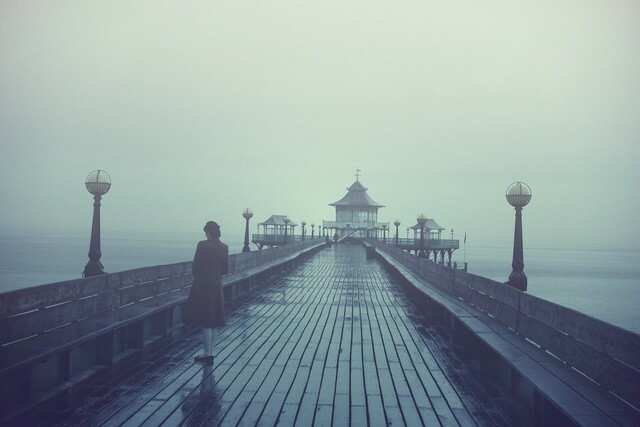 My favourite post might be this one, Clevedon, where you can find the image below. Mackenzie of Design Darling launched her boutique yesterday! It's filled with so many beautiful things it's hard to pick a favourite, but this exclusive K. Slademade clutch might be mine. Or maybe this stunning turquoise necklace? And I know I mentioned it earlier in the post, but The Everygirl launched last week. If you haven't heard, where have you been??? Filled with fabulous posts & pictures, I cannot wait to see what co-founders Alaina & Danielle do next!